After completing university and starting a job, one of the first things that I wanted to buy was a decent stereo system. I wanted it big and loud. 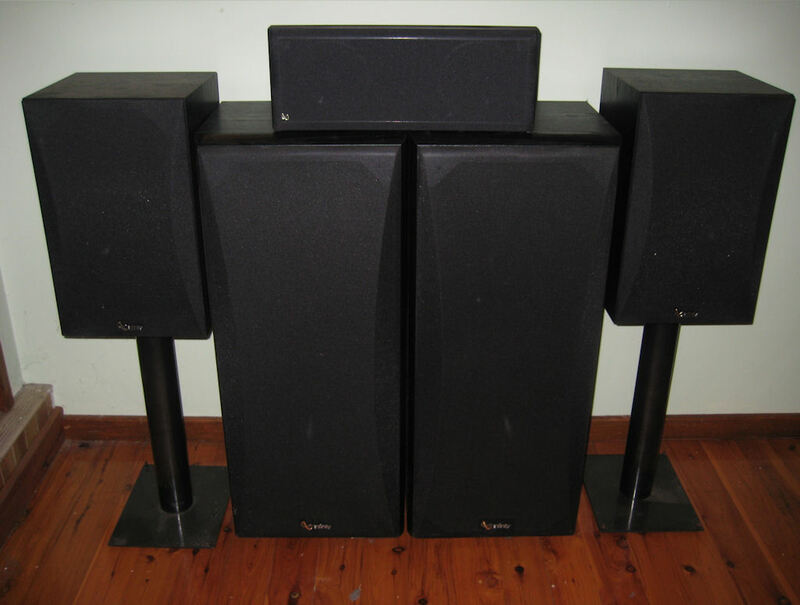 So after doing a bit of shopping around I decided on getting myself Infinity SM-125 front speakers, a Video 1 centre speaker and SM-85 surround speakers. They cost me an arm and a leg back in 1995 but served me well for over 15 years. Use the vertical scroll bar to show the speakers with and without the protective coverings. 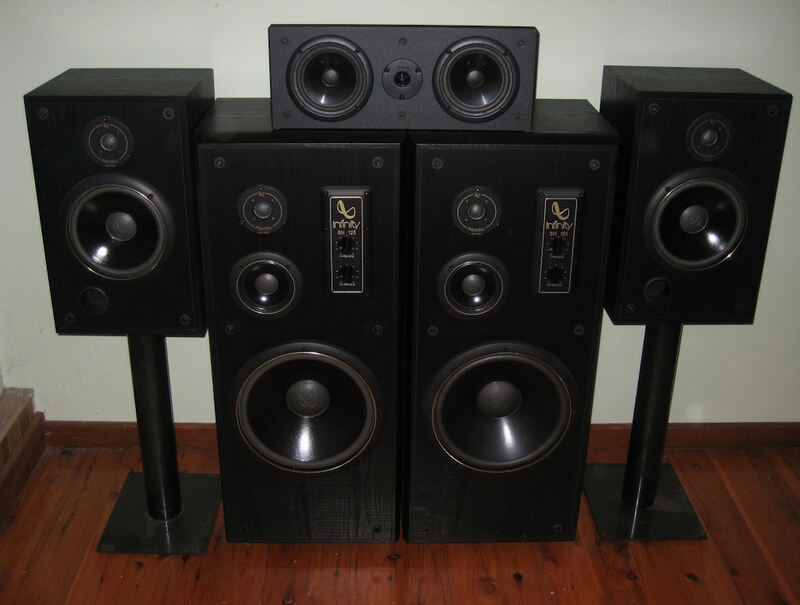 I drove the 5 speakers initially with a Pioneer VSX-D903S receiver. It only offered Dolby Prologic but that's all that was available back in the mid 1990s. With the introduction of DVD players there was a need to upgrade to handle the full surround capabilities of Dolby Digital 5.1 and DTS. So before leaving the UK to move back to Australia I picked up the VSX-909RDS. Now the old setup wasn't exactly appealing in terms of looks and performance. 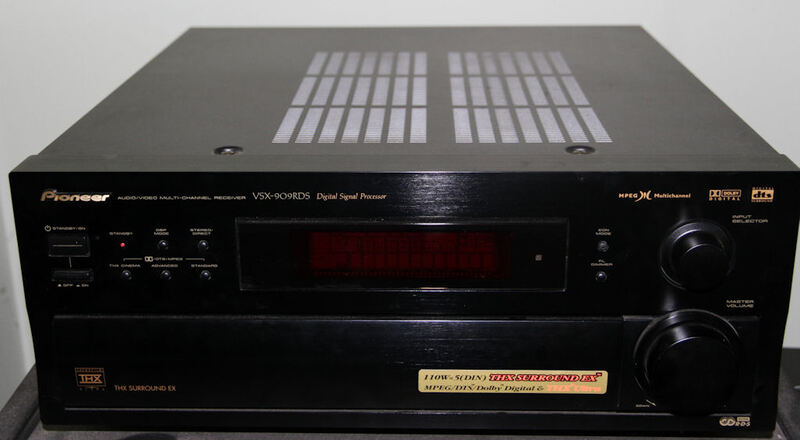 The speakers were well over 15 years and the receiver around 10. As I was looking at getting a projector I wanted to run HDMI which the receiver didn't offer. The best it could do was component cable. Looks like I will be making a number of changes in upgrading all of the components and speakers. To take a look at the new gear, click here.